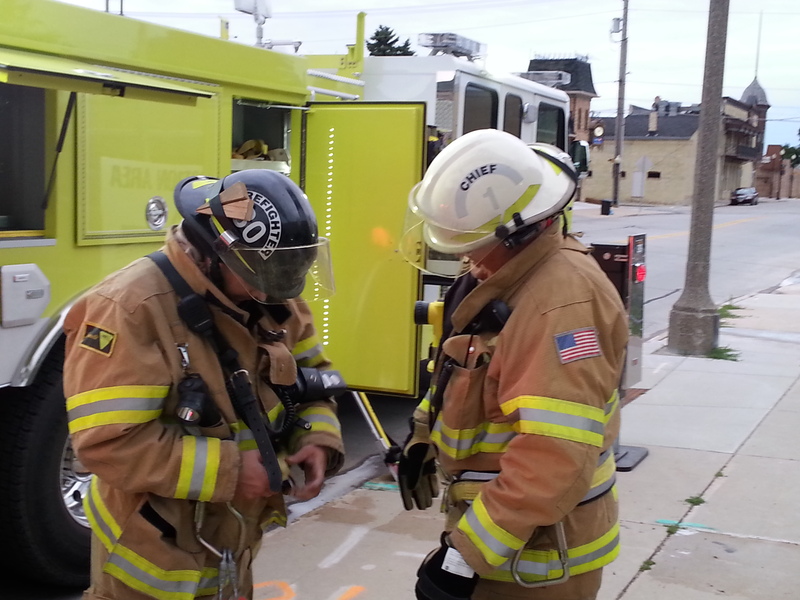 The City of Sheboygan Falls Fire Department and First Responders is committed to serving the community with the highest level of life safety and property protection. Thank you for visiting the City of Sheboygan Falls Fire Department and First Responders website. The men and women of this department recognize our responsibility to help ensure the safety of the residents of Sheboygan Falls and its visitors. We are dedicated to delivering our services in a courteous, expedient and efficient manner. For more than 150 years our department has worked hard to adapt and evolve in order to meet the challenges of an ever changing environment. We offer a wide spectrum of emergency services to our community and I believe our greatest asset is the team of volunteers that are members of the department. They continually put in extra effort and time to deliver these services that make Sheboygan Falls a safer place to live, work and visit. Organizationally we respond to 400-500 calls for service each year whether it is Fire, Rescue or EMS. This is taxing to our group of volunteers who are also responsible for inspections, investigations and fire prevention services. We must do all that we can to prevent fires and prepare in advance for emergencies. Our fire department continues to look for ways to move forward and utilize new techniques and technology. We have moved forward and constructed a training facility in 2010, started our next rotation for fleet modernization with the purchase of a new aerial in 2013 and are finishing construction/ remodel of our firehouse and city hall in 2015. We are continually looking at upgrading all of our equipment and facilities to ensure that they are at the necessary levels to meet the needs of the fire department and community. Through collaborated efforts we have entered into a simultaneous response agreement with Kohler Fire Department, are part of a technical rescue team with Town of Sheboygan Falls and Cedar Grove Fire Departments and are a part of the MABAS Division 113 Dive Team providing support along with our neighboring fire departments from the Town of Sheboygan Falls, Kohler, Cedar Grove and Plymouth Fire Ambulance. Our membership to MABAS Division 113 not only allows us to respond outside the city to offer aid to neighboring departments but also brings those department to our city to provide vital resources during large emergencies and or rescues. As Fire Chief I am very proud of the volunteers that serve you the citizens and visitors to our city and I hope you are also. I encourage you to browse through our web page to learn more about our fire department.